Congratulations! The firearms, ammunition, and related industries, have been experiencing unbelievable sales for the past several years. And Colt Firearms is on the brink of bankruptcy. You should be ashamed that you are responsible for letting this American icon go down the toilet. Your recent history seems to be a magnificent example of mismanagement. Consider this: numerous companies build better AR’s than you do. Numerous companies build better 1911‘s than you do. And, not to sound like a broken record, but numerous companies build better single actions than you do. You claim that Colt is a leader and icon in our industry, yet, for the most part, you build inferior products and can’t even get those out to the retail outlets in any quantity. When something is this broken, one need only look to the top for an explanation. I don’t know your CEO so this is not intended to be a personal attack. But, put very simply, your CEO needs to take a hike… retire… go fishing… but never darken the door of Colt again. Instead, Colt badly needs a CEO who has a fire in his belly. One who knows how to lead people. One who knows how—and wants to—build quality guns. One who is committed to promoting the brand. In short, you need to find yourselves another Mike Fifer. Since I am sure that most of you don’t have a clue who Mike Fifer is, your homework for tonight is to find out who Mike Fifer is and what he has done for the company that he represents. There is still time… get serious! This entry was posted in Guns, History, Philosophy, Revolvers, Rifles, Semi-Auto and tagged .45 colt, 1911, colt, model 19, revolvers, single action. Bookmark the permalink. I have friends who waited two to three years for a set of consecutive numbered Colt SA’s and when they got them they had to send them to a gunslith to make them work correctly! It’s a shame because when I worked there it was a different place! Hope they get their act together because I like Colt firearms! Specially their 1911! They priced their top of the line revolvers out of the reach of most and that’s not good for business! They need to get back in the game. They don’t offer a real CCW weapon, but had two in the Detective Special/Cobra?Agent line of revolvers along with the 1903/1908 Pocket Automatics. While I find no fault with their SAAs they are too expensive. The same with their 1911 pistols. I am sure that American labor costs fit into the equation. 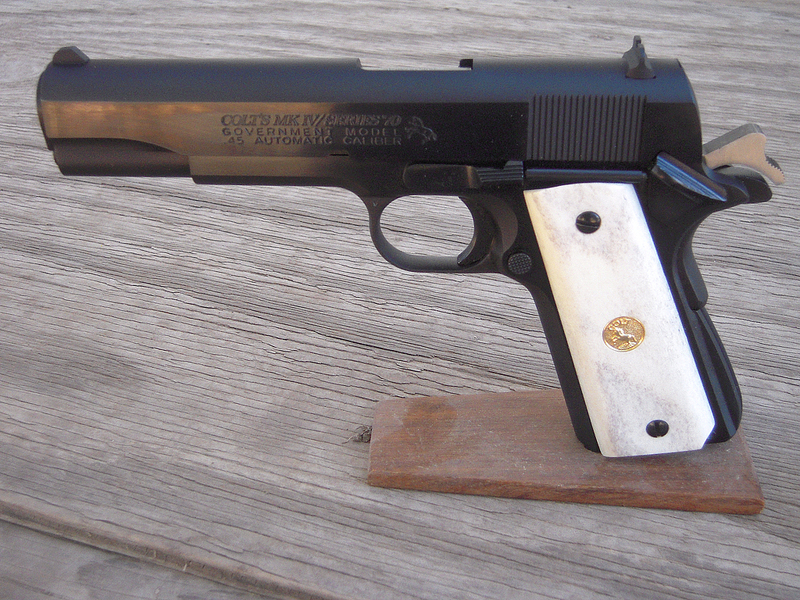 I also remember that, back in the day, Colts were always about $100 more than the comparable Smith & Wesson. One LGS owner used to say you paid $25 for each letter in the word “Colt”. It would be great if they took this letter to heart, but don’t hold your breath! Colt’s problem is they are badly overpriced. I have used Colt products & they work well but for a fraction of their cost you can buy something just as good. You are buying the name. Colt’s chronic problem since 1849 or so seems to have been a focus and dependence on military orders. Whenever a “peace dividend” breaks out, Colt breaks down. Chronically. The history of Colt corporate ownership, ownership and governance could fill a book, one that would be classified as “fiction” by someone who didn’t know the story was reality. You hit the nail on the head with Mike Fifer. He’s a remarkable leader who will always point to the Ruger team as the reason for Ruger’s success, rather than taking the credit for himself. Ruger ensures that its people are “gun people” by sending its men and women to Gunsite and FTW and etc. so they can become shooters, or better shooters, as the case may be. Further, I have the .375 Ruger he used to harvest a nearly 12′ bear in Alaska. I don’t think that any senior Colt management eats their cooking in that fashion; if they do, it’s a well-kept secret. I’ve experienced both joy and despair interacting with Colt. I wish the firm and the people well. I RUN A 3M+ YEARLY GUN SHOP AND I HAVE ONLY BEEN ABLE TO GET ONE SAA IN THE LAST 4 YEARS, WITH THEM BACK ORDERED AT SEVERAL MAJOR DIST. WHAT IS UP WITH THAT??????? My Gold Cup Trophy is beautiful to look at. Too bad the grip safety looked like it was fitted from 100 yards away. Yuck. Had that redone with a proper fitting part, tossed the trigger for a solid black one that still has the overtravel adj. when the trigger job was done, added a *slightly* larger mag catch and a gold bead front sight. Except for ALL THE SHARP FREAKING EDGES on everything it’s perfect. I met you a couple of years sheriff . My impression then was that you were an affable , peaceful man. But I see you have opened a hornet’s nest with this Colt article. Maybe I was wrong about you. Saying what you believe will get you in trouble , believe me I know. the only other thing I have to say is, I agree with your article 100 percent and know others that agree with you . Keep up the interesting articles . Thanks, Larry. I’d really like to see Colt turn this thing around. I bought a Colt Custom “100 Years of Service” roll marked 1911 .38 Super in bright stainless. The fit, finish, accuracy, and reliability are all perfect. Colt is capable of excellent quality. I agree with Sheriff Wilson. I believe the answer is for Colt to get their engineers (or hire some) to produce a 17 shot 9mm/15 shot .40 S&W, polymer frame full size duty pistol with a 4 pound striker fired trigger with no overtravel. This pistol needs to be capable of field stripping without pulling the trigger. Steel dovetailed sights with night sights available and easily owner installed. The new pistol needs to have an emphasis on ergonomics with interchangeable grips. Make the grips panels with a Rampant Colt emblem on both sides. All the other gun makers have come out with polymer/striker 9mm/.40 pistols. Full size pistols led to compact versions. There are plenty of gun owners who would want a Colt version of this platform. Make it a good looking gun too and it would be a winner for Colt. They need a winner. Colt stopped being a true firearms manufacturer a long time ago. Relying on politicians for their gubmint contracts and the “Colt” logo to sell their products. No innovation and a bad business model. That said I do like my new 6940 mainly because it will hold it’s value just because it has the rampant colt stamped on it. It does function well but there are many others out there that offer more bang for the buck. Sheriff’s are known for speaking the truth, thanks! I had 50 Deputies who’s lives depended on a Colt 1911s and a Colt M-4. They are now issued Kimbers…..embaressing! I know Dennis and his hands are tied by BOD members who need that fire.